In recent years, beetroot has become increasingly popular in the creative fusion kitchen due to its captivating color. Whether as soup, an ingredient in curry dishes, burger, risotto or cakes – this root vegetable is an excellent coloring agent and is also very nutrient-dense. 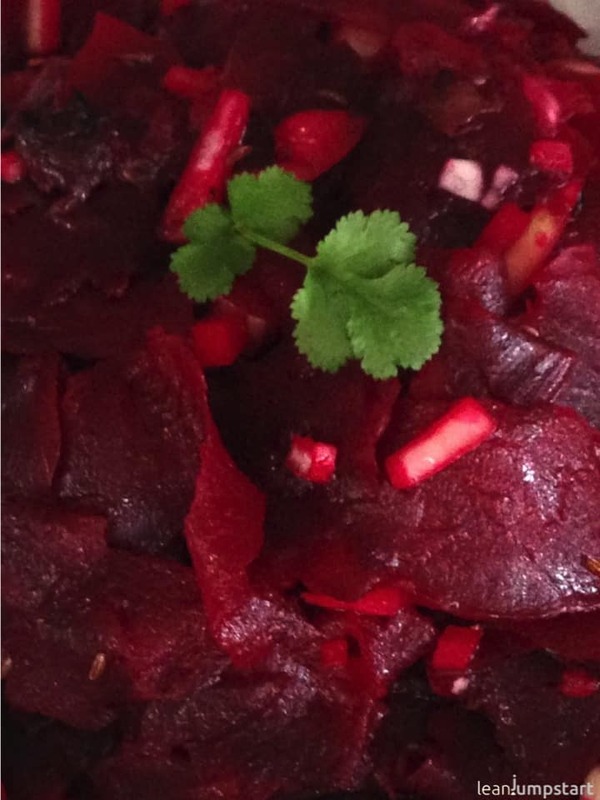 My favorite recipe is and remains this easy beet salad. Cooking beets can be done in a snap if you use a pressure cooker as I do (Don’t miss my video tutorial below!) This effective steaming method I learned from my mother not only saves you time but also retains veggie’s bright color and most of the important nutrients. You could also roast beets in the oven but using a pressure cooker is much quicker. Did you know that red beets are one of the healthiest and cheapest winter vegetables? I’ll explain this later in the blog post. Firstly, I want to present to you my beloved salad recipe with a very long family tradition down to my grandmother from Slovenia. She didn’t have a pressure cooker then, which meant cooking the root vegetables took her much longer than it does for me today. However, she grew organic beets in her garden and all of her ten kids could reap its health benefits from an early age on. 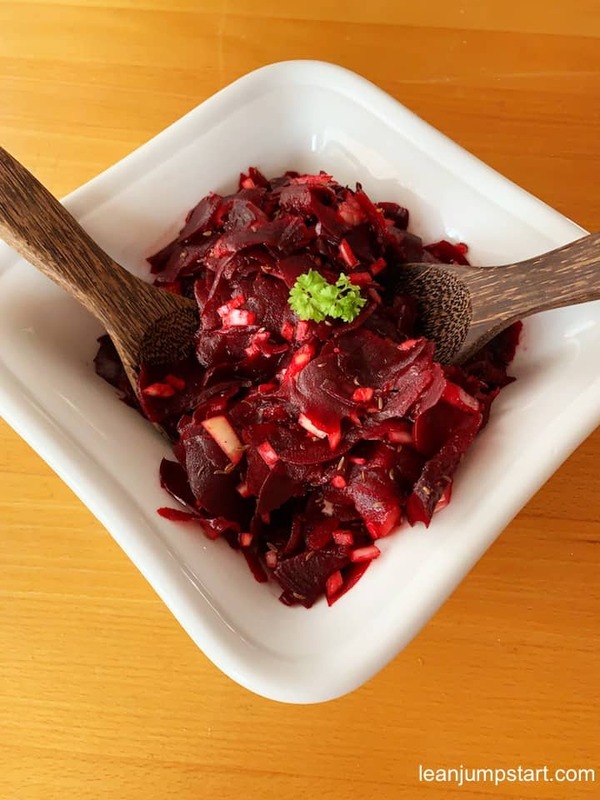 My father told me that they enjoyed beet salad at least once per week in wintertime. He brought this recipe into his marriage and my mother quickly absorbed it and decided to save cooking time by using a pressure cooker. My brother and I also ate this salad from early childhood on, and I’m proud to say that the same is true for my little family now. A colorful and nutrient-rich root salad. You can enjoy it as a side dish or on its own. Brush beetroots under current water. Place them in your pressure cooker’s steamer basket. (For a 6 Quart pressure cooker I add 1-2 cups of water (250 ml). Close pressure cooker and secure the lid. Bring to high pressure for 6 minutes. When beets are just cool enough to handle, use your hands to push the skins using rubber gloves. Use a large bowl and grate beets on a box grater. If you want an even simpler option you can buy pre-boiled and peeled beets. If you are still unsure if beets should be part of your clean eating kitchen, then hopefully the following health benefits can convince you. Beets contain Glutamine that may also help reduce cravings for sugar and carbohydrates. Glutamine has a stabilizing effect on blood sugar levels. When the blood sugar levels are low, this amino acid suppresses insulin to prevent a further decrease of it. On top, it provokes the discharge of glycogen to help adjust the blood sugar to normal levels. Betaine also has the property to decrease the homocysteine level, helping to protect your heart and blood vessels (2). In addition, these roots contain folic acid. This means a regular consumption of beet salad or juice can be regarded as a real preventive action against cardiac infarction and stroke. Betaine is also known as Trimethylglycine (TMG) – this is a moderate mood lifter as it can increase the level of the happiness hormone serotonin. Beets have a high nitrate concentration which is known for its blood pressure lowering properties. (3) According to a study from 2008, drinking a little more than 2 glasses of beetroot juice per day might be sufficient to regulate high blood pressure. After volunteers drank 500 ml of juice, it resulted in a remarkable decrease in blood pressure within three hours. (4) The lowered blood pressure remained stable up to 24 hours after consumption. These results could be confirmed in another study published in the medical journal “Hypertension,” in April 2013. I have to admit that in my early childhood I didn’t like my mother cooking beetroots. First of all, the pressure cooker made a scary noise, and back then I wasn’t fond of beets’ sweet taste. Over the years, this slowly changed and as a teenager, I started to love this color-intense salad with this love affair remaining until today. It doesn’t surprise me that my daughter still doesn’t like my beet salad recipe too much. What she loves instead, is eating beetroot pasta made with our vegetable spiralizer. If you are vegetarian, you could easily pimp up your salad with roughly chopped feta cheese or goat cheese. Adding quinoa or millet with some dijon mustard will turn this side into a nutrient-dense, vegan main dish. Are you already cooking with them? Let me know if you are already reaping the beetroot health benefits. 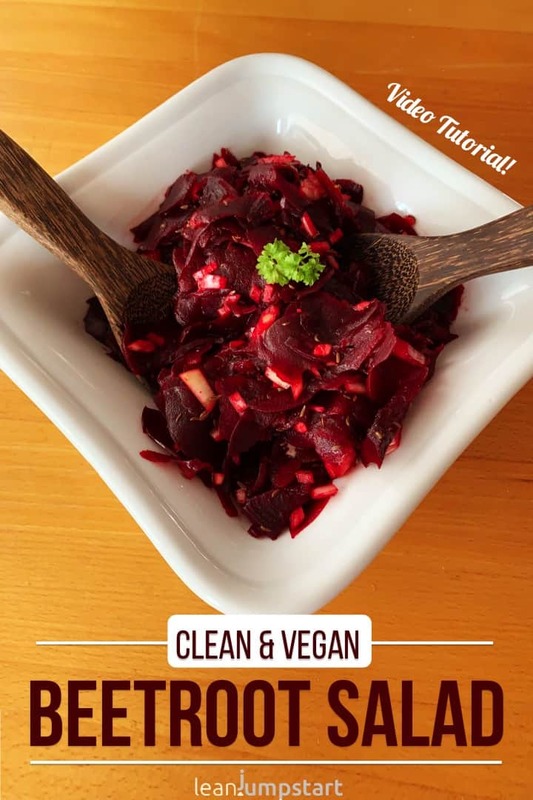 Just post your favorite beet recipe in the comment section below!